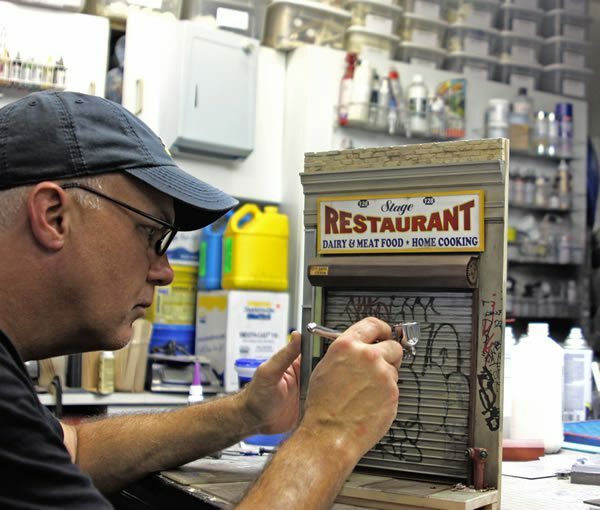 With a background building sets and props for TV and movies, Randy Hage is skilled at creating an authentic sense of place and has a great eye for detail — both vital to the success of his ongoing artistic project. 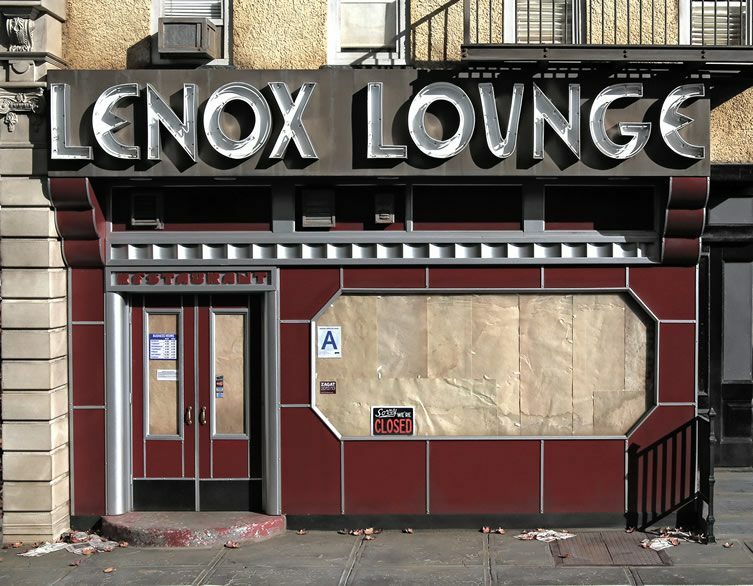 For the last 15 years, Hage has been travelling the length and breadth of New York to photograph some of the most notable of the city’s venues — not the iconic buildings found on tourist maps, but rather the mom-and-pop stores, the clubs and restaurants that became an integral part of the native New York community. 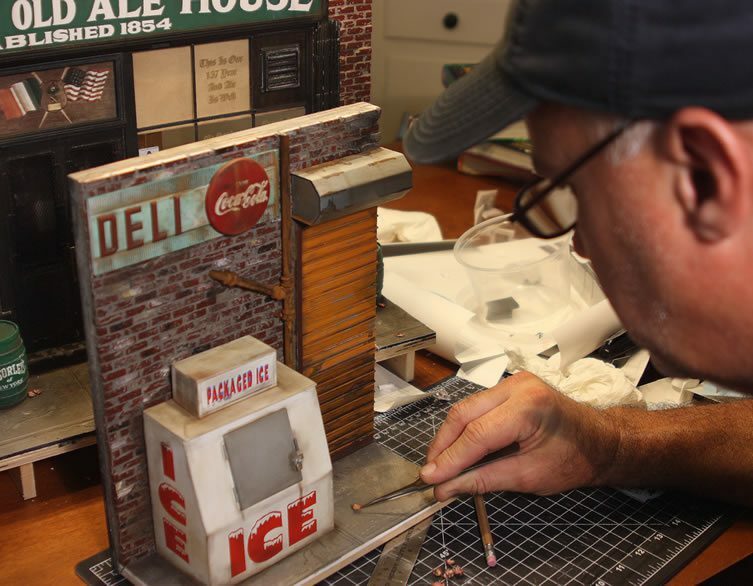 More recently he’s revisited his archive of imagery as a reference to recreate the disappearing frontages as a series of extraordinarily detailed 1/12th scale miniature sculptures. 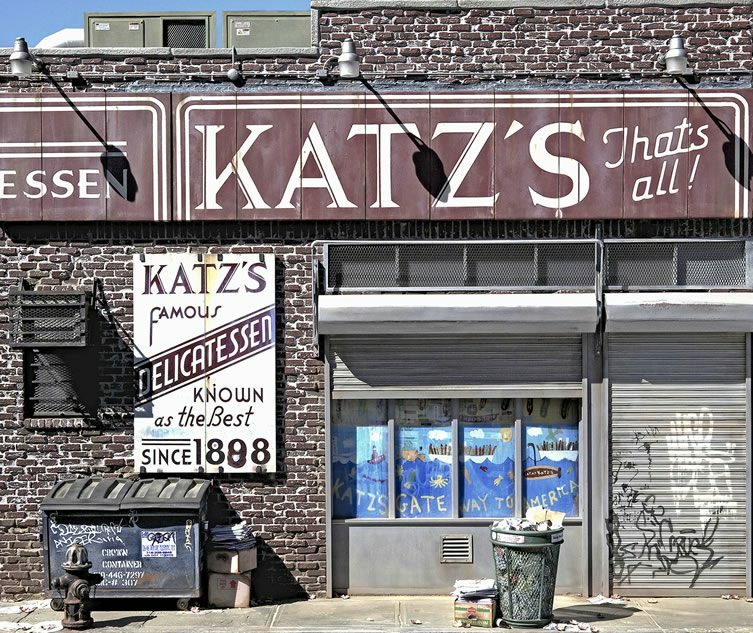 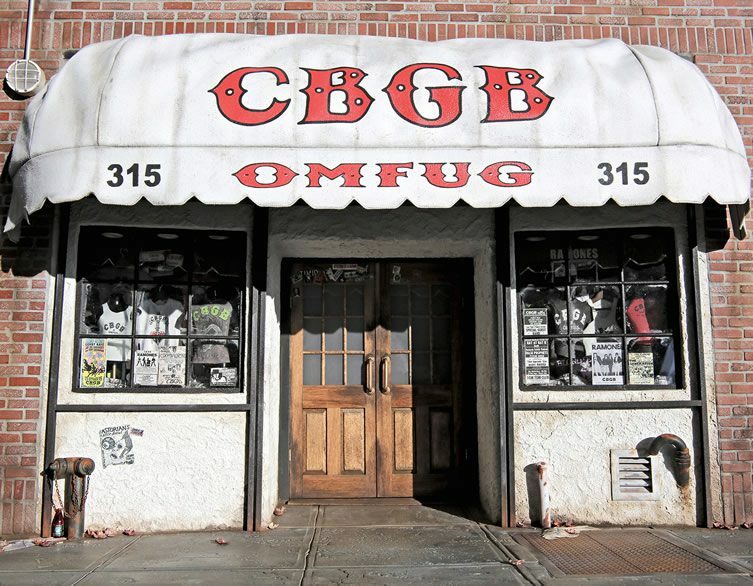 The Façade collection includes some legendary New York haunts from yesteryear, such as the famed music venue CBGB and Katz’s Deli, but it’s his less widely-known choices that tell the real story of the city in times gone by. 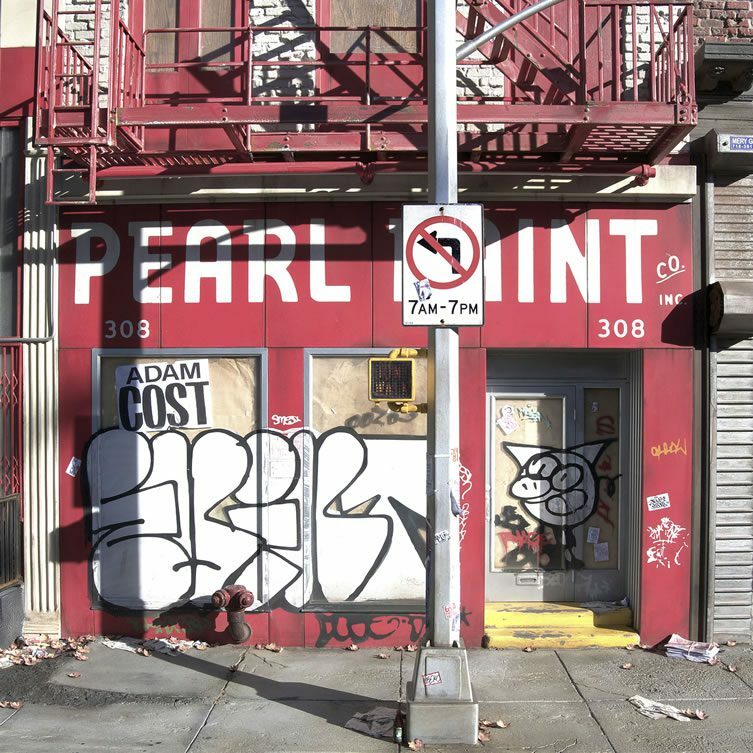 Pearl Paints, for example, probably wouldn’t have been on many visitors’ top 10 list of must-sees, but it was instrumental in the SoHo neighbourhood’s transformation from clapped-out industrial deadzone to vibrant artistic hub. 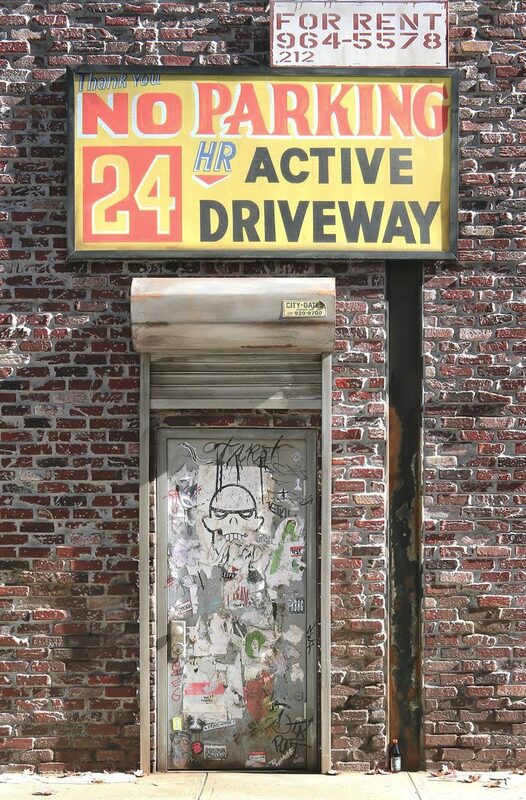 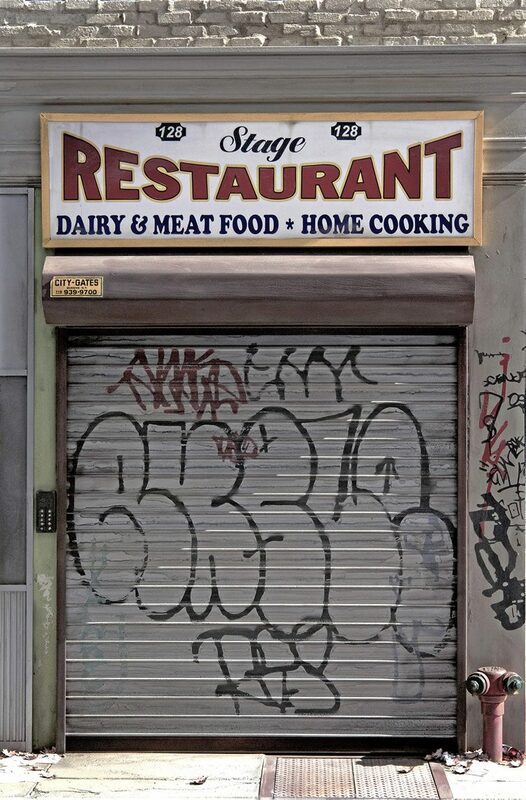 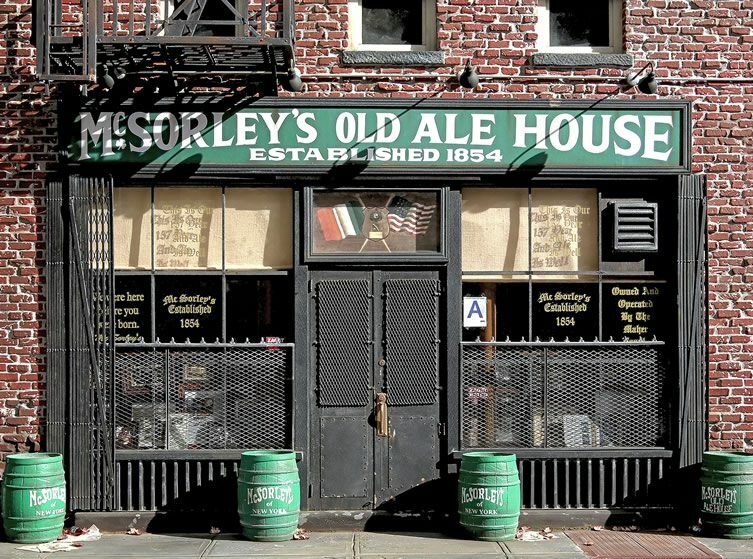 Other works are ostensibly even less remarkable but just as characterful — from long vacant units who have simply become part of the furniture to actual street furniture, signs, and even an ice machine. 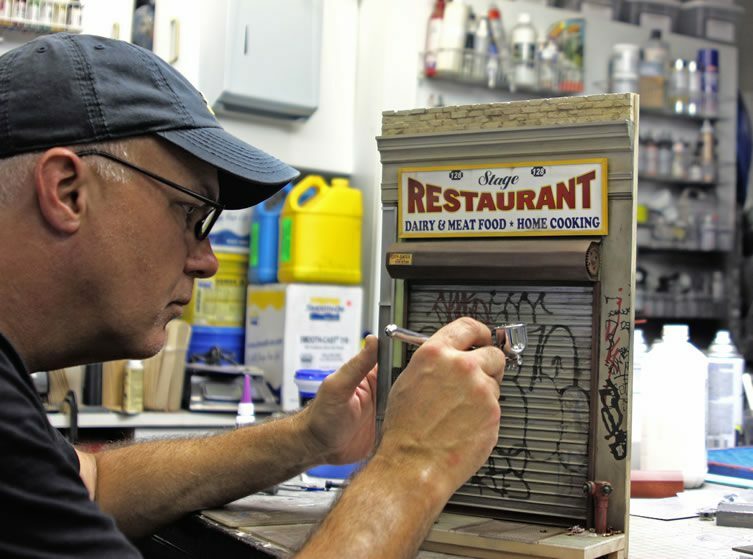 Flower Pepper Gallery in Pasadena welcomes Façade by Randy Hage from 10 October to 18 November.